Our mission is to host a fabulous fundraising gala each year! Not only is this a beautiful night that celebrates our mutual love of dogs; it's a chance for us to recognize our sponsors, ambassadors and supporters; and, most importantly, to raise funds for our domestic and international programs! Together, we can help create a better world for dogs both domestically and internationally. Check out these links to see how you can get involved! We are currently looking for sponsors, auction items, and partners! Our gala will be held in November 2019! On Nov. 15, 2018, we hosted our 3rd Annual Fundraising Gala, presented by Zappos for Good, at the Taglyan Cultural Complex in Los Angeles. 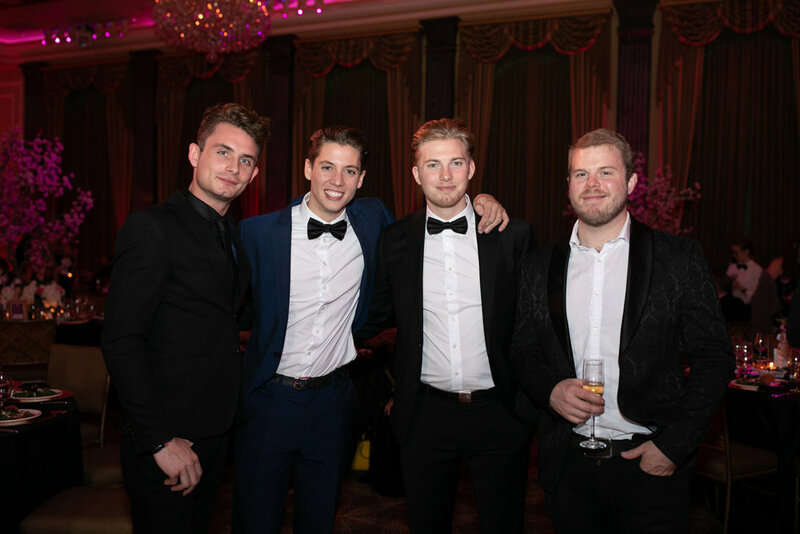 The purpose of the Gala was to raise awareness about their efforts to end the dog meat trade, draw attention to their current and future campaigns within the US and internationally, and raise money to continue our Foundation’s work. Once again, the night was a huge success – hundreds of people gathered together to celebrate dogs, and help improve the lives of abused and mistreated dogs both domestically and internationally. The Gala’s red carpet kicked off at 6 p.m., with a beautiful candlelit cocktail hour and a silent auction. Celebrities and attendees bid on a variety of donated luxury items ranging from hotel stays to dog beds and luxury beauty packages. At 7:30 p.m. the doors opened to a stunning ballroom complete with beautiful flowers and candelabras for a dinner that included music, dancing, celebrity performances, celebrity speakers and an incredible Live Auction of one-of-a-kind experiences. Mario Lopez, the event’s host for the third year in a row, began the evening and continued to host throughout the night. Our founder, Lisa Vanderpump, made a heart- wrenching and moving speech, while recapping the successes of the Foundation. Lisa delineated the foundation’s medical missions to China, the opening of their first China-based rescue facility, the successful passing of House Resolution 401, and the incredible success stories of the 750+ dogs adopted out since the Vanderpump Dog Rescue Center opened in March of 2017. The 450 attendees of Vanderpump’ s Annual Gala enjoyed the musical performances of NBC's 'The Voice' Billy Gilman, LIV Entertainment’s band, Legendary and up and coming artist, Cami Jane. The Vanderpump Dog Foundation honored Congressman Alcee Hastings, presenting him via satellite with their 2018 “Dog Hero” Award for his commitment to creating a more humane world for dogs worldwide, for the successful passing of House Resolution 401, co-authored by the Vanderpump Dog Foundation. Leona Lewis, a strong supporter of the Foundation, also presented an award. from Extra’s Mario and Courtney Lopez, and Leona Lewis, Real Housewives cast members Gretchen Rossi & Slade Smiley, Melissa Gorga, LeeAnne Locken, Kameron Westcott and Lydia McLaughlin were in attendance. Vanderpump Rules cast members Jax Taylor, Kristen Doute, Brian Carter, Brittany Cartwright, Scheana Marie, Stassi Schroeder, Peter Madrigal, Katie Maloney-Schwartz, Tom Schwartz, James Kennedy, LaLa Kent came out to support. Other celebrities who attended included Diane Warren, Christy and Autumn Gibel, Amanda Cerny, Jenni Pulos, Jonathan Nassos, Jasmine Goode, Mercedes Javid, Heather McDonald, Austin Anderson and Emmy Perry. sponsor Zappos for Good, hosting sponsor Planet Hollywood, Corporate Sponsors, JetBlue, Randy and Mindy Levine, Palm Bay International, SUR Restaurant, Barkworthies and Scruff-a-Luvs. Other sponsors of the event included Emmy’s Hope, Shady Paws, Loyola High School of Los Angeles, Evolution Media, Bravo, Deutsche Bank, Metropolitan Animal Specialty Hospital and Asta Razma. On November 9th, 2017, Lisa Vanderpump and The Vanderpump Dog Foundation hosted our second annual Gala, presented by Zappos for Good, at the Taglyan Cultural Complex in Los Angeles. The purpose of the Gala was to raise awareness about our efforts to end the dog meat trade, draw attention to our current and future campaigns within the US and raise money to continue our work. The Gala was a complete success – hundreds of people gathered together to celebrate dogs, and help improve the lives of abused and mistreated dogs both domestically and internationally. The Gala’s red carpet kicked off at 6pm, with a beautiful candlelit cocktail hour and a silent auction. Celebrities and attendees bid on a variety of donated luxury items ranging from hotel stays to dog beds and luxury beauty packages. At 7:30pm the doors opened to a stunning ballroom complete with pink roses and candelabras for a dinner that included music, dancing, celebrity performances, celebrity speakers and an incredible Live Auction of one-of-a-kind experiences. Mario Lopez, the event’s host for the second year in a row, began the evening and continued to host throughout the night. Lisa Vanderpump, made a heart-wrenching and moving speech, while recapping the successes of the Foundation, including medical missions to Yulin, China, and Haiti, as well as sharing some of the incredible success stories of the 350 dogs adopted out since the Vanderpump Dog Rescue Center opened. The Vanderpump Dog Foundation honored former corporal Megan Leavy, presenting her with our 2017 “Dog Hero” Award for her service to both her country and the canine community. The Foundation also awarded Honey, a survivor of the Yulin Dog Meat Festival this year, as their “2017 Dog of the Year”. Honey was rescued from the Yulin Dog Meat Festival, and brought back to the Vanderpump Dog Rescue Center by our Executive Director, Dr. John Sessa, and has since been adopted by a loving, caring family. Celebrity performances were peppered throughout this gorgeous event, with performances by Billy Gilman (The Voice), singer and actor Cheyenne Jackson (American Horror Story), and an incredible dinner performance by the band Shirley House. The night ended with a spectacular dance performance from Dancing with the Stars’ Julz Tocker and partner Rachel White, followed by a night of guests dancing, with stars Lance Bass, Michael Turchin, Lisa Vanderpump and Ken Todd leading the way. Many celebrities and activists showed up to support the cause, and helped raise awareness on the red carpet and through social media. Aside from Extra’s Mario and Courtney Lopez, Lance Bass and Michael Turchin, who supported the event by hosting and presenting, Real Housewives cast members Gretchen Rossi & Slade Smiley, Taylor Armstrong, Joyce Giraud, Melissa Gorga, Dolores Catania, Teddi Jo Mellencamp, D’Andra Simmons and Kameron Westcott were in attendance. Vanderpump Rules cast members Jax Taylor, Kristen Doute, Brian Carter, Brittany Cartwright, Scheana Shay, Stassi Schroeder, Peter Madrigal, Katie Maloney-Schwartz, Tom Schwartz, Ariana Madix, Tom Sandoval and James Kennedy came out to support. 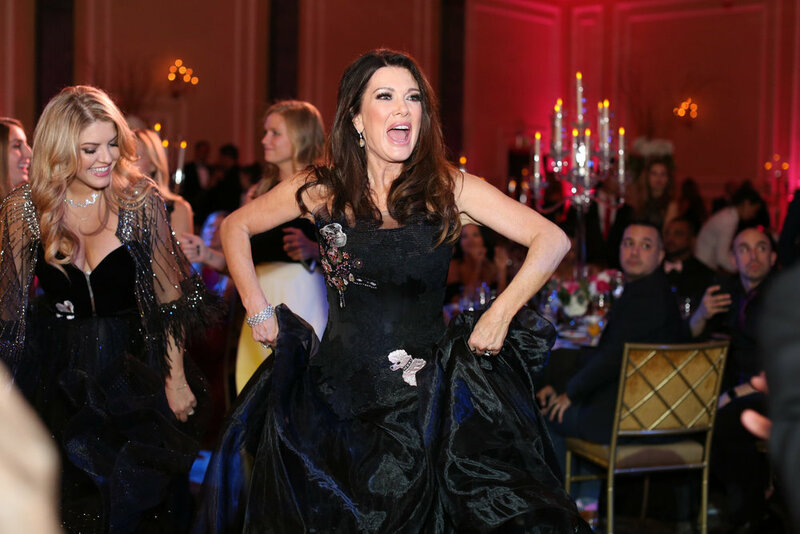 Other celebrities who attended included Christy and Autumn Gibel, Mohamed Hadid, Shiva Safai, Jeff Lewis, Gage Edwards, Jenni Pulos, Jonathan Nassos, John Jay, Amanda Stanton, Jasmine Goode, Mercedes Javid, Wendy Burch, Fortune Feimster, Heather McDonald, Austin Anderson and Emmy Perry. This event would not have been possible without the generous support of presenting sponsor Zappos for Good (www.ZapposForGood.com), hosting sponsor Collide (www.collide.com), corporate sponsors Evolution Media (www.evolutionmedia.com), Randy and Mindy Levine, Palm Bay International (www.palmbay.com) and SUR Restaurant (www.surrestaurant.com). Other sponsors of the event included, Kibble Pet (kibblepet.com), Shady Paws (shadyface.com), Emmy’s Hope (www.emmyshope.com), Lovegevity (www.lovegevity.university), Loyola High School of Los Angeles (loyolahs.edu), and the Hutcherson Family.